As you may well be aware, this week we are featuring a beautiful goat milk feta in our cheese share, and, of course, baby breakfast radishes. The air is warming up, the sun is coming out, and on certain days it even feels like Spring. Sounds like time for a salad. 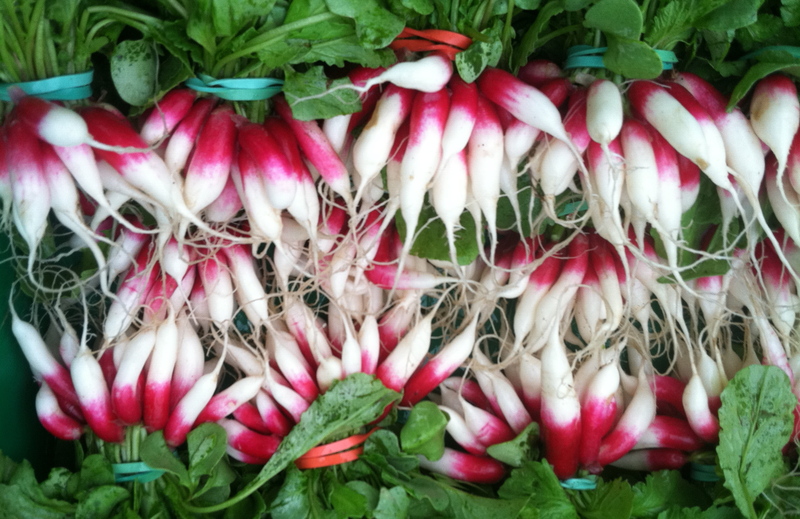 For this recipe you can use the greens from the radishes combined with your mesclun. -Wash the radishes, separate the tops, and reserve if you’d like. Take the radishes and cut lengthwise. -In a large salad bowl, add your mesclun greens, radish tops, and radishes. Crumble the feta onto the salad, and dress with the lemon juice, oil, salt and pepper. Toss and serve.